Ramsay Health Care is disrupting the pharmacy industry. Following an exchange of contracts in August, Ramsay Health Care has this week announced that regulatory approval has been received for Malouf Pharmacies to be added to its pharmacy franchise network. The deal, which will see Ramsay franchisees to acquire the Malouf Pharmacies, is expected to be finalised in early December 2017. Malouf Pharmacies is one of Australia’s leading pharmacy brands and is the largest privately owned pharmacy group in Queensland, employing more than 450 staff. “We are delighted to see the Malouf Pharmacies come into the Ramsay Pharmacy Franchise Network,” said Malouf founding partner, Richard Malouf, about the acquisition. “Ramsay Health Care is a great organisation with a similar vision and culture to our organisation as well as the commitment to delivering excellent healthcare services. We are confident that our pharmacies will be in good hands for the long term and that the health of our customers will come first”. Ramsay has confirmed there will be no real change to operations of the Malouf Pharmacies at this stage and that, as franchisor, it is “committed to maintaining the Malouf rewards loyalty program” and keep Malouf employees onboard after the transition takes effect. Ramsay Health Care says its pharmacy franchise network is on track to include 55 retail pharmacies once current contracts are completed. According to its Annual Report 2017, Ramsay’s network includes 221 hospitals, 200 pharmacies and 14 healthcare facilities across six countries, with a revenue of $8.7 billion for the last financial year. The announcement of Ramsay’s move into pharmacy shows the strides it has made since its submission to the Review of Pharmacy Remuneration and Regulation in late July. Ramsay Pharmacy Group is on track to acquire 55 retail pharmacies by year’s end. Photo: 123RF. Back then, CEO Peter Giannopoulos of Ramsay Pharmacy Group – the wholly-owned subsidiary of Ramsay Health Care – wrote to Review Chair Professor Stephen King that their attempts to move into community pharmacy had been “obstructed by Commonwealth and State regulation”. 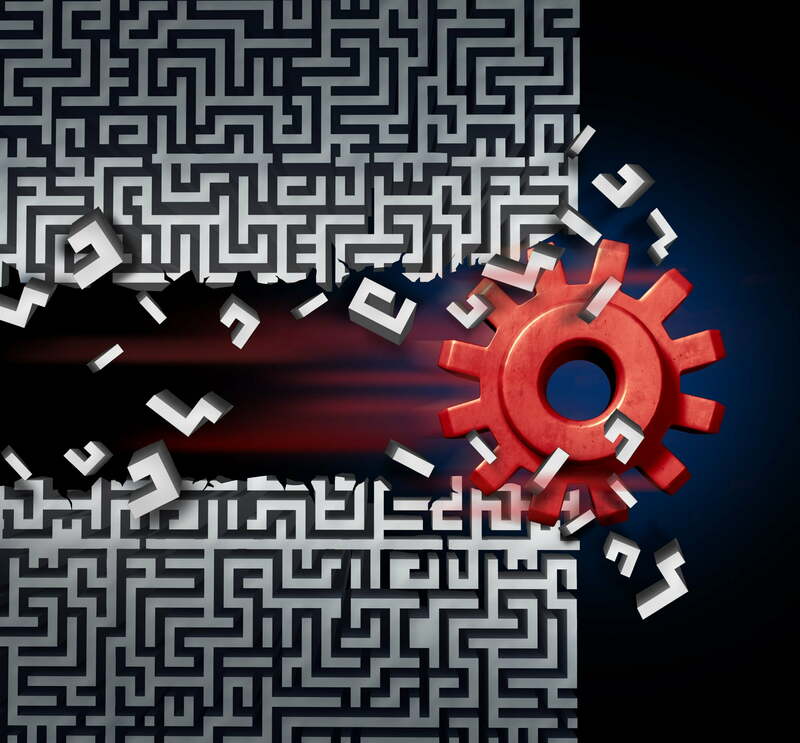 “At a Federal level, the Pharmacy Location Rules are rigid such that any move on our part to encourage a community pharmacy presence on our hospital campuses is blocked, or would take years to implement. Mr Giannopoulos said that while the group had made a step into franchising services for affiliated pharmacies, “we are frustrated that we cannot go the next step and directly own and manage pharmacies which are franchise members. “The locations of most Ramsay Health Care hospitals are in local communities and easily accessible to these communities. Having the corporate economies of scale and scope to sustain dispensary services for extended hours, up to and including 24/7 operation, we see a strong value for opening some, or all, of these dispensaries to offer walk-in community pharmacy services as well as be in-hospital facilities. 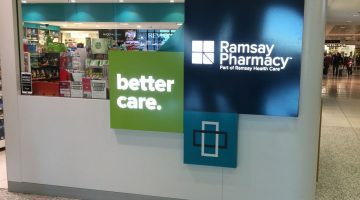 Ramsay Health Care also reiterated its 2014 assertion that “ensuring the safe and competent practice of pharmacy and related services does not require a registered pharmacist to own a pharmacy”, as long as the community pharmacy is in the operational charge of a registered pharmacist who is accountable from the professional conduct of the pharmacy. Mr Giannopoulos then asked Professor King and the Review Board to call on Federal, State and Territory governments to “act together to confront ownership monopoly”. In the meantime, waiting for such changes to occur, Ramsay has made steps towards acquiring pharmacies within a franchise model, following in the footsteps of other big names including Australian Pharmaceutical Industries, TerryWhite Chemmart, Chemist Warehouse, Amcal and more. Some pharmacists have expressed their concerns about the group’s move into pharmacy as a sign of further corporatisation of the industry. “I’m concerned about the young people coming through. When they’ve got to compete with the likes of Ramsay… how can they compete?” an independent pharmacy owner, who preferred not to be named, told AJP. “Chemist Warehouse did the same thing, the same structure. The end game will be to sell out to these corporates. “How can you tell Woolies or Coles they can’t enter pharmacy if we’ve got an ASX-listed company like Ramsay [entering the industry]? Concerns also remain about whether Ramsay Health Care would use its contract arrangements for the purchasing of medicines through its hospitals to supply medicines to its community pharmacies. “If, as the Guild is led to believe, Ramsay may be finding a way to get around this established separate supply arrangement or is being allowed to do so by suppliers, they are deriving an unfair competitive advantage for their pharmacies over other community pharmacies,” said the Pharmacy Guild in August this year. However Ramsay denied the allegations. “In line with the PBS Price Disclosure Arrangements, the Guild should be aware that consistent with the Arrangements, it is only sales to public hospitals which are not subject to reporting obligations,” it responded. 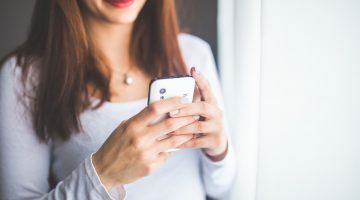 Concerns about corporatisation of pharmacies have also recently sparked a review into pharmacy ownership laws in Western Australia. WA Health Minister Roger Cook launched the review in late October, with public consultation open until December 8, 2017. However the focus of this review was not only on corporatisation but also on the discount pharmacy model. “Community pharmacies are an important part of our health system with 642 registered pharmacies in Western Australia,” Minister Cook said in a statement. “The average community pharmacy dispenses 54,482 prescriptions per year. “We want to know what lessons we can learn from other States and Territories, and what trends we may need to be aware of and take into consideration,” he said. At the time of publishing, the Pharmacy Guild has not responded to request for comment. However in its own submission to the King Review, the Guild said pharmacy ownership legislation “reflects the community expectations and desire to maintain the integrity of the professional relationship between pharmacist and patient. 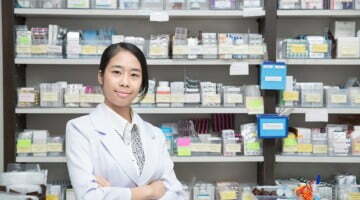 Poll: do pharmacies need pharmacist owners to be safe? Next Why is pharmacy so hard to understand?